For thousands of years, essential oils have been used for their health and beauty benefits. Natural oils like tea tree oil are used as they offered a gentle and effective remedy to a wide variety of skin and hair conditions. With the advent of commercialization, using them in their pure form became unfeasible and instead they have been incorporated into products like shampoos. In this guide, we take a look at the best ones that you can buy. An everyday use shampoo that works for all hair types and rivals expensive brands when it comes to results. Potent enough for dandruff, gentle enough for sensitive scalp and comes at a very reasonable price per ounce. An all-around formula that works effectively against dandruff, itchy scalp, and hair-loss while regrowing hair. Today you can find natural oils in almost everything from natural medicines to bath oils. Tea tree oil is one such oil that has been rediscovered especially when it comes to its efficacy and versatility in promoting healthy hair. Here’s everything you need to know about it. Tea tree oil is derived from a plant called Melaleuca Alternifolia. This plant is commonly found in Australia. The oil is distilled from the leaves of this plant. It is golden yellow and has a fresh smell. The medicinal properties of tea tree oil were well known to the native people of Australia who would apply it, in its pure form, to not only heal cuts and burns but also treat chronic skin conditions. When its anti-microbial properties were discovered, its production boomed, but it was only being used as an anti-septic. The demand for it really took off when people started turning to natural health for treating various scalp and hair problems. What Are The Benefits Of Tea Tree OilFor Hair? Tea tree oil has potent anti-inflammatory, anti-microbial, and stimulant properties that can have specific benefits for the health of your hair. While it can be used in its pure form, tea tree oil shampoos are the most convenient and effective method of availing its inherent benefits. The most important thing that tea tree oil does is that it relieves inflammation in the scalp. It can be very useful with conditions like seborrheic dermatitis. Such conditions and specifically seborrheic dermatitis cause inflamed, itchy, and dry scalp. This directly leads to the accumulation of dead skin and clogging of hair follicles. Clogged hair follicles weaken hair and promote hair loss. Tea tree oil, with its anti-microbial and cleansing properties, gently sloughs off these dead skin cells, unclogging the hair follicles and letting them breathe. As a result of these benefits, tea tree shampoos have shown remarkable success in treating dandruff, itchy, and dry scalp conditions. By calming inflammation in the scalp and removing the dead skin, tea tree oil shampoos can create a healthy growing environment around hair follicles. Further, tea tree oil improves blood circulation in the scalp, which results in each hair follicle receiving more nourishment for its growth. So, a good tea tree oil shampoo can not only stop the problem of thinning hair but also help with hair re-growth. While tea tree shampoo’s benefits for dry hair and scalp are direct and easily understood, their role in treating oily hair is somewhat indirect. Although there may be other causes, oily hair is most often a result of dry scalp. Confused? Let me explain in detail. When we use cleansing products that are too harsh on the scalp, the natural oils and moisture of the hair follicles are stripped off. The body compensates for this loss by secreting more oil into the hair follicles. When this cycle is repeated too many times the result is an oily scalp and hair. The right blend of shampoo should be able to clean the scalp without drying out the hair. Tea tree oil calms over-active sebaceous glands which stops the excessive secretion of oils into the scalp. Therefore, when optimal moisture balance is restored to the hair follicles, conditions like oily hair are automatically resolved. Owing to the many amazing benefits of tea tree oil, many natural beauty product manufacturers have started incorporating it into their products. Since shampoos are such an everyday item in everyone’s lives, many of them now come with tea tree oil in their formula. 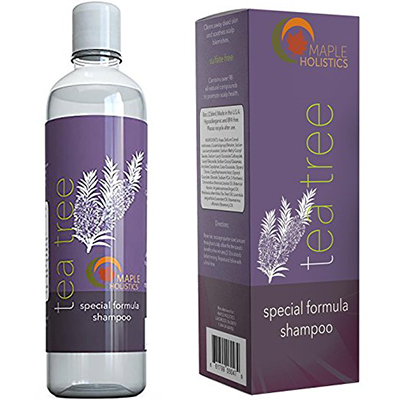 With this “special formula shampoo”, Maple Holistics has come out with a truly well-rounded product. It not only promises to relieve a dry and itchy scalp but also stop hair thinning. Further, this shampoo effectively cures dandruff while preventing head lice with an all-natural, truly gentle formula. Along with tea tree oil, this shampoo’s blend contains lavender oil, rosemary oil, jojoba oil, argan oil, and botanical keratin. All these natural ingredients work beautifully together to give you immediate relief from itching scalp and dandruff. Additionally, the natural oils help your hair and scalp retain the much-needed moisture. Moreover, tea tree oil’s anti-microbial properties can also help cure scalp ‘psoriasis’. The product even smells great and can be used on all types of hair. In fact, it works especially well for oily hair. Users report a gentle tingling sensation after use and suggest that it is refreshing and invigorating. Some even report fuller and thicker hair after a few washes. This shampoo is gentle enough to be used by children as it is hypo-allergenic. Also, the company claims it to be safe for color treated hair too. For around $10.95 for an 8 ounce bottle, this product exceeds its claims. Who’s it for: If you’re suffering from dandruff, irritated, or inflamed scalp conditions and fear that it may be causing hair loss, this shampoo is great for you. The leader of salon quality products, Paul Mitchell Systems, brings to you this tea tree shampoo with a relatively simple claim. The company claims that it cleans all hair types gently and leaves them shiny and smelling great. The blend contains natural tea tree and peppermint which combine to soothe the scalp. Despite the humble claims by the company, our research reveals that the product performance exceeds most if not all expectations. It not only leaves your scalp feeling cool and tingling but your hair feels cleaner, thicker, and shinier. The smell is truly great too and even though it does not claim to cure dandruff, users report relief from a flaky and itchy scalp. Its formula is so gentle that it can be used safely for a very sensitive scalp and even by people suffering from eczema. Even though this product performs well above what the company promises, the only hitch in buying it may be reports of counterfeiting in the market. Another minor flaw of this product is its price. At around $8.95 for a 2.5 ounce bottle, it isn’t exactly pocket-friendly. However, we feel that if you manage to get your hands on the original formula, it is going to be absolutely worth it. Who’s it for: This product lends a gorgeous strength and shine to hair. Go for this shampoo, if you like styling your hair and are looking for salon style product. The company does not specifically mention if this product is sulfate free. Trusted for decades, Nature’s Gate believes in holistic beauty and delivers clean and safe products. The company has a reputation for embracing natural ingredients and employing only sustainable practices. This shampoo promises a cleansing and nourishing blend that is safe and gentle enough to be used every day. Along with tea tree, it holds the goodness of vegetable proteins, vitamins C, B5, and E that leave your hair feeling clean, nourished, and strong. It even boasts of flower extracts that provide just the perfect fragrance. It has a very pleasing smell and balances the excess oil in hair without drying them. The tea tree in this shampoo is very effective against dandruff and dry, itchy scalp. This one is truly mild and cleans your hair well without drying it. If you want a natural and everyday hair care solution at an affordable price, this one does not disappoint. For only about $18.48 for an 18 ounce bottle, it stands by its promise of natural hair care without compromising on its philosophy of affordable, eco-friendly solutions. Who’s it for: If you believe that what you put on your body is as important as what you put inside it and if you believe taking care of your hair should not cost the environment or your budget, buy this shampoo. Loving your hair, the way it is has never been easier. 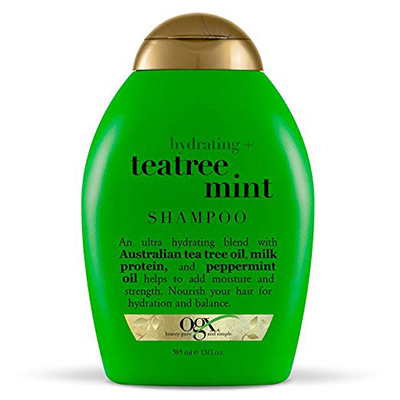 With this hydrating tea tree-mint shampoo, OGX has come out with a product that celebrates the diversity of hair. The amazing thing about this shampoo is that it offers the same results as some premium brands like Pureology, Oribe, and Paul Mitchell for a fraction of their price. This product will cost you roughly $5 for 13.5 ounces and is one of the most affordable on the market currently. It is fit for everyday use and works great on fine, dry, thick, and frizzy hair. Their tea tree and mint formula helps to heal damaged hair with split ends and nourishes hair strands to eliminate tangled dry hair. Who’s it for: Get this shampoo if you’re looking for a truly versatile product that works for all hair types. Since it cleans, conditions, and works as a treatment, it’s no surprise that the company calls it a 3-in-1 treat. What do you get when you combine time-tested natural ingredients with state-of-the-art research? You get Brooklyn Botany, a company that has earned a name for itself by sourcing natural botanical oils and turning them into extremely effective products. This product contains tea tree oil, argan oil, jojoba oil, and avocado oil. 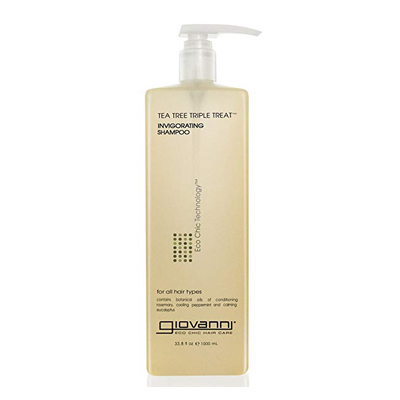 The tea tree oil in this shampoo is effective in treating dandruff, itchy, and dry scalp. All the other oils provide beneficial nourishment and moisture to the hair and scalp. This product lives up to its claims. Users report considerable improvement in dandruff and scalp dryness in just a few washes. They further claim that the shampoo leaves the hair feeling very soft and smelling great. It comes at a decent price of about $13.99 for a 16 ounce bottle. Who’s it for: If you like all things natural and are drawn in by the heady aromas of essential oils, try this product. It works great for dandruff and dry scalp and leaves your hair smelling wonderful. Buy this product if you want to sample the best of Brooklyn. A healthy mind and body are at the foundation of lustrous and healthy hair. Art Naturals believes in harnessing the power of your sense of smell to calm, balance, and bring harmony to the body and mind. To this end, they use tea tree essential oil to bring to you this truly delightful shampoo and conditioner set. However, don’t let all this talk of aromas and harmony fool you into thinking that this product doesn’t have enough substance. Tea tree oil shampoo by Art Naturals is a potent blend that works effectively against dandruff and itchy scalp. It also stimulates new hair growth by cleaning out dead cell debris from the scalp. 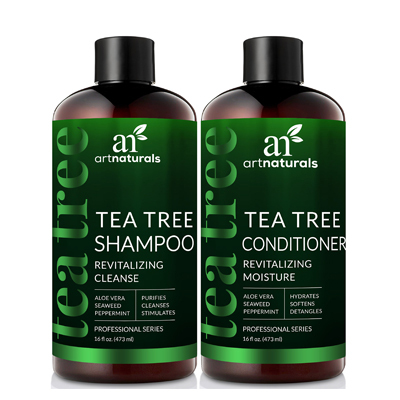 The company is offering this shampoo with a tea tree conditioner as a set. Both products work beautifully together to leave hair feeling clean, shiny, and bouncy. All of this comes at a price of around $26.95. While it’s not really the most economical option in the market, the company is so confident of their product’s performance that they are offering a risk-free, 100% satisfaction or money back guarantee. Who’s it for: If you’re looking to be rid of dandruff, itchy scalp while keeping your hair feeling soft and shiny, get this product. It also helps with hair re-growth and leaves your hair smelling like you just walked out of an aromatherapy session. It can be really difficult to find truly organic products with appropriate certifications for each and every ingredient in the market. 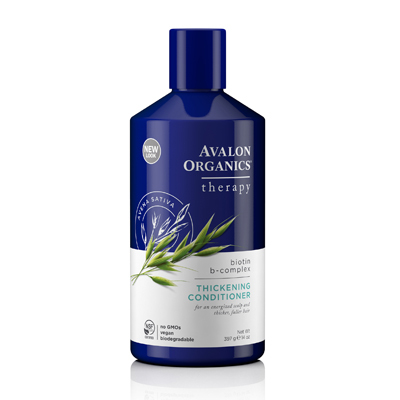 If you’ve ever brought a natural or organic shampoo only to find a list of ingredients that looks fishy, its time you switch to Avalon Organics. This company is unparalleled when it comes to its quality claims and ingredient-specific certifications. 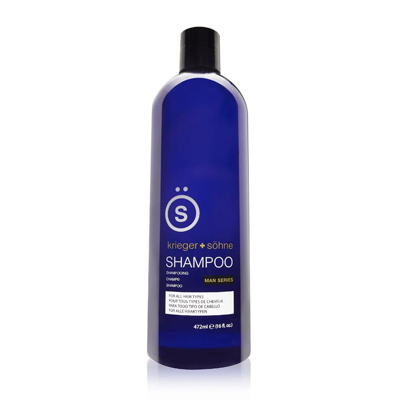 This means that this shampoo contains pure and natural ingredients that promise to relieve a dry scalp, clean, and restore scalp hydration, and improve circulation. This shampoo also claims to have a PH balanced formula, which means it can be used on very sensitive scalps as well. It also cleans the hair efficiently without excessive drying. 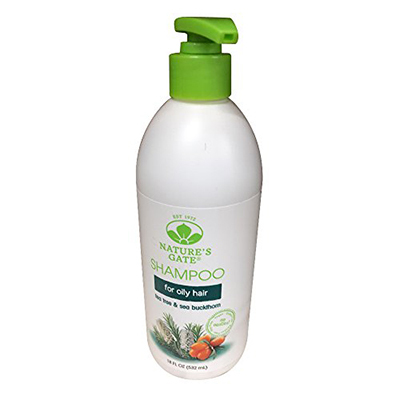 At near about $19.09 for a 14 ounce bottle, it’s an effective medium-segment tea tree shampoo. It’s worth mentioning that even though this product does not specifically claim to thicken hair or help with hair re-growth, many users have found it effective in that regard. Many of them claim that this shampoo makes their hair more voluminous and visibly thicker. Who’s it for: This shampoo is for you if it matters to you that the product you use has only certified ingredients of the highest quality. 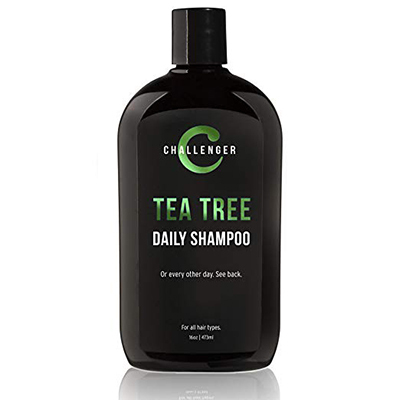 This tea tree shampoo by Challenger is a simple but effective, no-fuss, every day (or every other day) shampoo. The company has made it a mission to support good hair days for people leading busy and productive lives, regardless of the hair type. It’s fit for everyday us despite the fact that the company says that most people do not need to shampoo every day. The cheeky marketing angle seems to be hitting the right chord too as users are absolutely loving the shampoo. It smells great, is gentle on sensitive scalps, and potent enough to clean the hair really well. Although, the company is not explicitly marketing this product as an anti-dandruff, or hair re-growth shampoo, the blend itself seems to be working for a lot of people. Users report a gentle tea tree tingle on application and suggest that it makes their hair very clean and soft. The shampoo is priced at around $15.97 for a 16 ounce bottle. 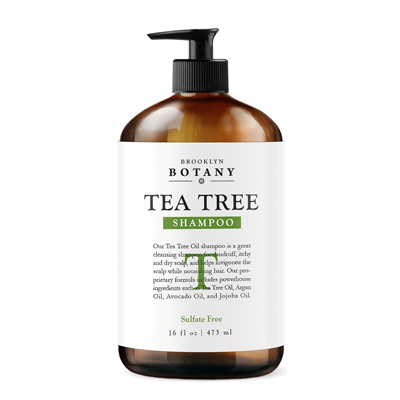 Who’s it for: If you’re looking for a tea tree shampoo that will clean your hair and wake you up for the challenge every morning, or every other morning, this is the one to go for. Giovanni has been around for four decades. In those 40 years, it has earned the reputation of making products derived from nature that consistently deliver results. 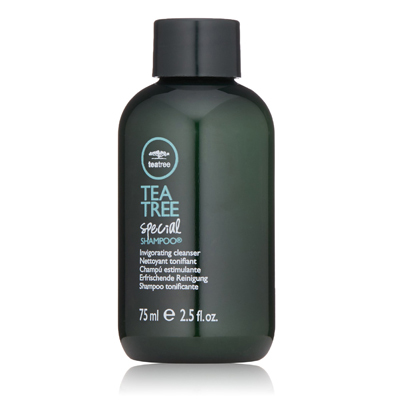 This great Eco Chic Tea Tree Triple Treat shampoo is another in a long line of outperformers. This shampoo’s blend contains organic tea tree botanicals, peppermint, rosemary, and eucalyptus. It is a product made for daily use and helps relieve dry flaking skin problems. It is also a stimulating formula that increases scalp circulation for fresh feeling hair after washing. This shampoo lives up to its claims and then some. Users report that this shampoo cleans hair really well without drying it inordinately. It works like a miracle for dandruff and dry flaky scalp and does not irritate sensitive scalps either. Since it works for all hair types and is available at a reasonable price of about $19.57 for a 33 ounce bottle, it makes a great product for the whole family. Who’s it for: If you’re done experimenting with your hair and are looking for something natural without compromising on the performance, pick this shampoo. It’s a great cleanser that leaves hair moisturized and works great for dandruff and dry flaky scalp. We saved the best one for last and, believe it or not, this one is for guys. This premium salon quality product brand has come out with a solid product that promises to eliminate dandruff, dry scalp, and prevent hair loss to boot. Its formula is infused with tea tree oil which is meant to calm the mind and invigorate the senses while cleansing your hair with a gentle tingle. This product lathers well with just a little amount of shampoo, it tingles without being harsh, takes care of the excess oiliness, and leaves hair feeling clean, fresh, and smelling great. Also, it works great against dandruff and psoriasis. Even though the company claims that this shampoo should be supplemented with a conditioner for best results, many users are claiming excellent results even without it. There are two minor drawbacks with this shampoo though. The first is that it does contain Sulphates. The second is the price of this shampoo, which isn’t exactly budget friendly. You’ll have to shell out about $16.14 for 16 ounces of this shampoo. Having said that, users are not experiencing dry hair despite of the SLS in it. In fact, many report softer hair after washing. Also, the company is guaranteeing 100% satisfaction, failing which it is offering a full refund. All things considered, this is a genuine product that is working great for a lot of guys out there. Who’s it for: This shampoo is for busy and hard-working guys who just don’t have the time for things that don’t work. When you have a lot to do in your day, with this shampoo, you can at least cross out “take care of hair” off your list.